Backing up SQL Server virtual machines (VMs) can be a challenge. For example, backups within the guest VM can cause resource utilization issues. Veeam Explorer for Microsoft SQL Server provides transaction-level recovery of virtualized databases, supporting point-in-time restores from backups. A wizard-driven user interface enables even part-time DBAs and SQL Server beginners to restore databases. A basic version of the Veeam Explorer tool is included as part of Veeam Backup Free Edition, a free virtualization host-based product that can be used to back up VMs. 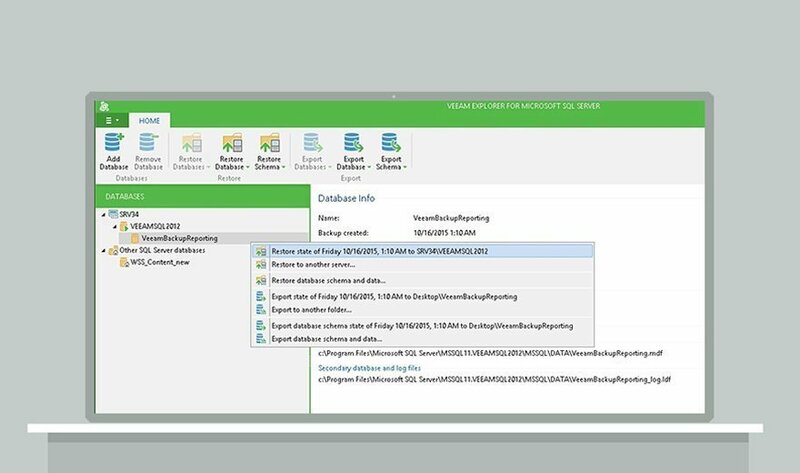 Veeam Backup Free Edition creates full, image-based backups of both SQL Server and Oracle VMs, and Veeam offers a companion version of Veeam Explorer for restoring Oracle databases. Besides Veeam Explorer, what tools have you found helpful for backing up and restoring SQL Server virtual machines?